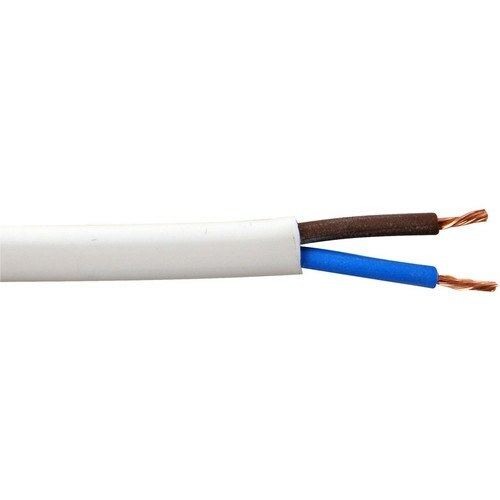 6 Amp Brown & Blue LS0H H05Z1Z1-F Low Smoke Flexible Wire usually specified by Architects or Consultants and ideal for use in Commercial Lighting, Heating and in Portable Tools, Washing Machines and Domestic Appliances. In a Fire Situation this Cable will emit minimal or no poisonous gases. General purpose flexible PVC cable suitable for use in dry domestic, commercial, indoor and outdoor conditions where fire, smoke emission and toxic fumes could potentially cause threat to life and equipment. It can be used for general electrical and security applications such as lighting pendants where an earth is not required.